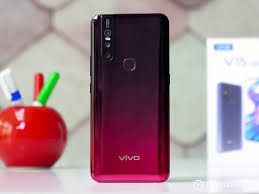 vivo, the innovative global smartphone brand, has announced the sale of the much awaited V15 in Frozen Black, Glamour Red and Royal Blue color variants across all offline and online channels. The V15 comes with an advanced 32 MP pop-up selfie camera which delivers unmatched clarity and a triple rear camera setup with 12MP Dual Pixel Sensor (24 million photosensitive units) + 8MP AI Super Wide-Angle Camera + 5MP Depth Camera. The 8MP AI Super Wide-Angle Camera expands the view to 120 degrees, capturing a better view, from a wider perspective.